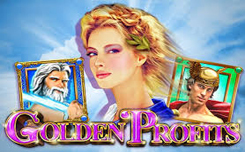 Golden profits from Booming Games, made in the style of ancient Greece. Developers endowed the game with five reels and the same number of paylines. Since the slot has an ancient Greek theme, you will see the standard names of playing cards from 10 to A, as well as three images of Greek gods. The first wild is depicted on drums in the form of lightning, it is able to replace simple symbols, to form winning chains, all winnings involving this symbol increase the winnings on X3. The second scatter looks like a tablet with a game logo, if this symbol appears on the screen in three, you go to a round of 10 free spins. 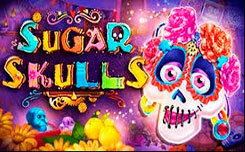 Not left aside and those who like to take risks, for them there is an opportunity to increase their winnings. You will need to guess the color of the card – red or black. If you make the right choice, then double your prize. If not, you will return to the main game with nothing.